The Franklin Estates Outdoor Patio Chaise is constructed of steel and hand woven resin wicker. It has a side shelf that can be pulled out to hold your favorite drink or book and can be pushed in when not in use. This chaise also converts into a storage unit or side table. Great for both indoor and outdoor entertaining. The Tacana Chaise Lounge is crafted from hand woven wicker. It provides exceptional comfort and superior durability against the elements. Soak up the sun poolside or enjoy a book on the patio. This beautiful chaise will be a favourite for years to come. It can also be stacked for easy storage. Beacon Park Steel Stationary Lounge Chair Orange Cushions Relax in style and sophistication, and enjoy the outdoors with the Beacon Park Stationary Lounge Chair. 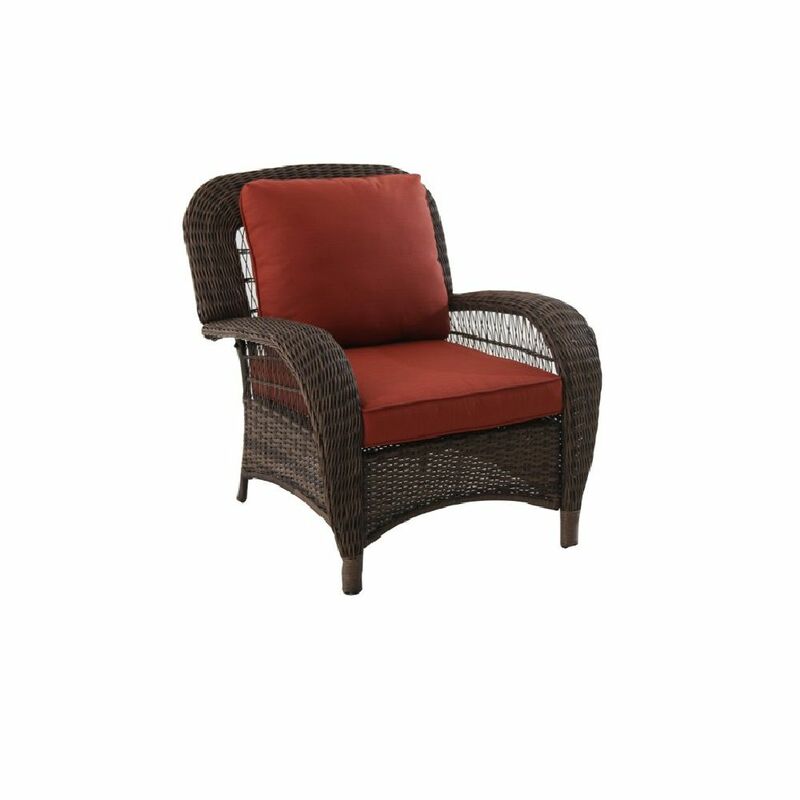 A sturdy, rust-resistant frame supports intricately woven, rich brown wicker, and features a plush olefin seat cushion and back cushion. Wide, curved armrests ensure maximum comfort you won't want to give up. Use as a standalone piece, or include other Beacon Park furniture elements to create a complete look.